A typical day at work in MAKESHOP can be hard to predict. A couple of days ago, I was taught how to use a laser cutter. An amazing team of students from Carnegie Mellon University’s Entertainment Technology Center spent an entire semester developing an iPad app to allow someone like me to do something like use a laser cutter. Some days I deal with a loom, and other days I deal with lasers. The ETC team did such a great job developing, prototyping, and creating this project that anyone, even me, can make a drawing on an iPad and then have it cut out of cardboard using a laser. It does take some converting and resizing and calibration to get a finished product, but the team was able to teach us everything. 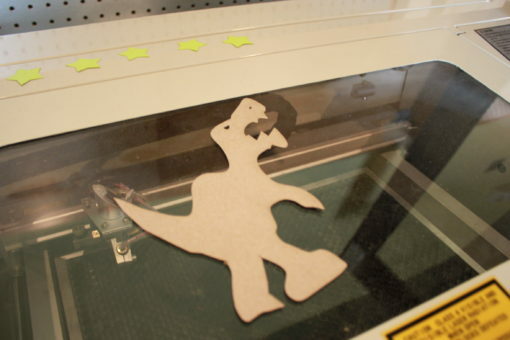 Like I said, “if I can do it then anyone can.” This app is especially great for young children to interface with the design technology needed to use a laser cutting. 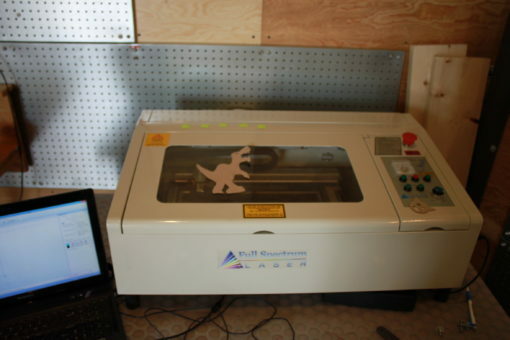 Since we have this app available in MAKESHOP, we can open many doors for young children to use modern fabrication tools, like laser cutters. Thanks to our latest ETC team and especially thanks for letting me make a cardboard dinosaur. 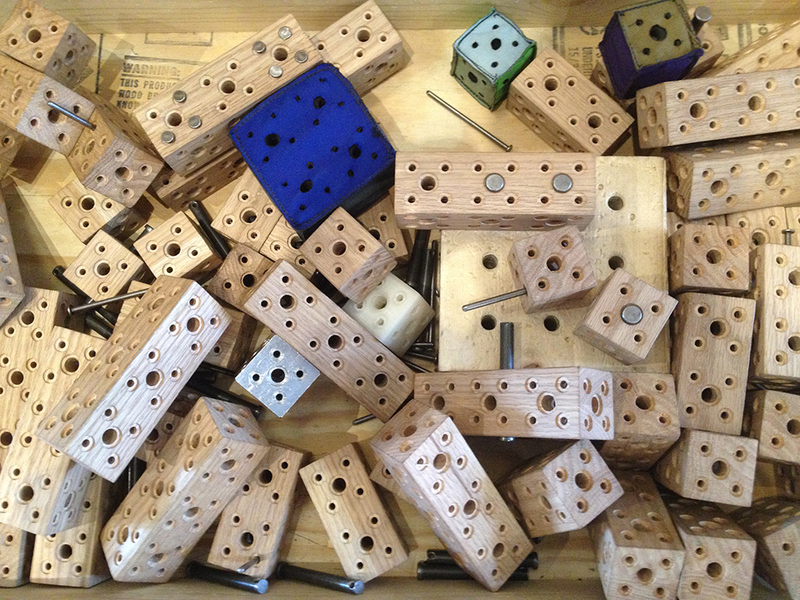 Stop by MAKESHOP to ask us about it or check our calendar to see when the laser cutter will be running.